With our leads easily distinguishable by the color of their eyes in the first posters, we get a clearer picture of the idea behind HUM∀NS 完美芯機人 starring Ma Tianyu and Qi Wei. 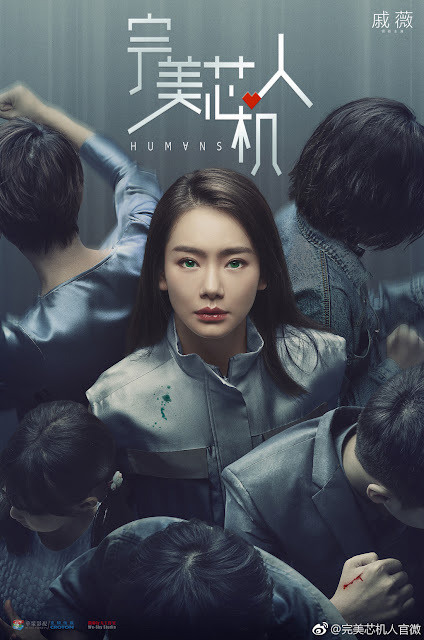 For anyone who's also watching Are You Human Too, which is one of the most expensive k-dramas to date, this upcoming Chinese drama seems to be taking the android concept to the next level by creating a world where humans and robots coexist. So instead of one Nam Shin Il, we get many? It sounds crazy ambitious and intriguing considering the question that is poses on the whole idea of robots becoming sentient. It reminds me of the hit HBO show Westworld in a way, so it was actually interesting to learn that the drama is based on a sci-fi series of the same name that first aired in the UK in 2015. In the show's lingo, it seems like our leading lady will be playing a synth, aka a robot that has gained consciousness. Frankly, the more I read about it, the more curious I am about the original. Even the UK version was a based off of another version--from Sweden, however they made it their own going in a different direction. Love Gemma Chan in the UK version. Will have to see how the Chinese version goes in terms of their "synth" interaction because the ones from the UK had to go through training in order to act non-human like. Androids becoming more human is probably from very old sci fi stories and maybe as old as 1950s sci fi. *SPOILERS* From what I know in the original Swedish series, the male lead is actually both human and android. He had an accident at his childhood which nearly killed him, so his father gave him robotic enhancements to save him. Female lead is one of his father's creations and they, unlike the usual robots, are gifted with free will. They get separated when robot traffickers find them snd female lead gets kidnapped and rebooted to be sold as a companion robot. 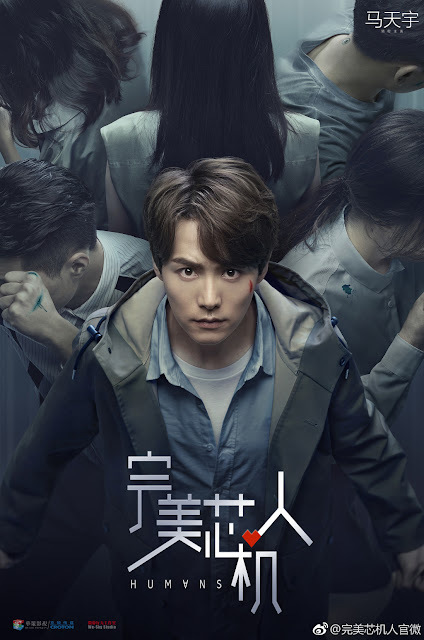 And if we see in the posters, Ma Tianyu has a cut in his face and it's red, which means he's human (with robotic enhancements) while Qi Wei's character has a greenish blue stain (the color of blood of androids) on her clothing.